Many plumbing projects and repairs can be carried out with basic plumbing tools. Nowadays almost all have their own handy plumbing tools to repair small plumbing work at the home. Here we discuss some tools which will help to do small plumbing work. Some plumbing tools are also available on rental basis. Sometimes, the plumbing problem shakes a worse situation in your daily routine life. If you have plumbing tools, you can easily deal with that worse situation. Hence, we advise you to buy plumbing tools and always purchase quality products. Always take care of tools properly. Prevent rust on metal tools by wiping them with a cloth dipped in household oil. If metal tools get wet, dry it immediately, and then wipe it with an oiled cloth. Keep tool boxes and cabinets organized. Make sure all tools are stored securely. Ball peen hammer is used to strike on plumbing materials, to strike on chisel for dismantling the tiles, and to shape the metallic objects. It is also used for shaping and expanding the free end of the rivet. The head of a ball peen hammer is made to resist chipping. 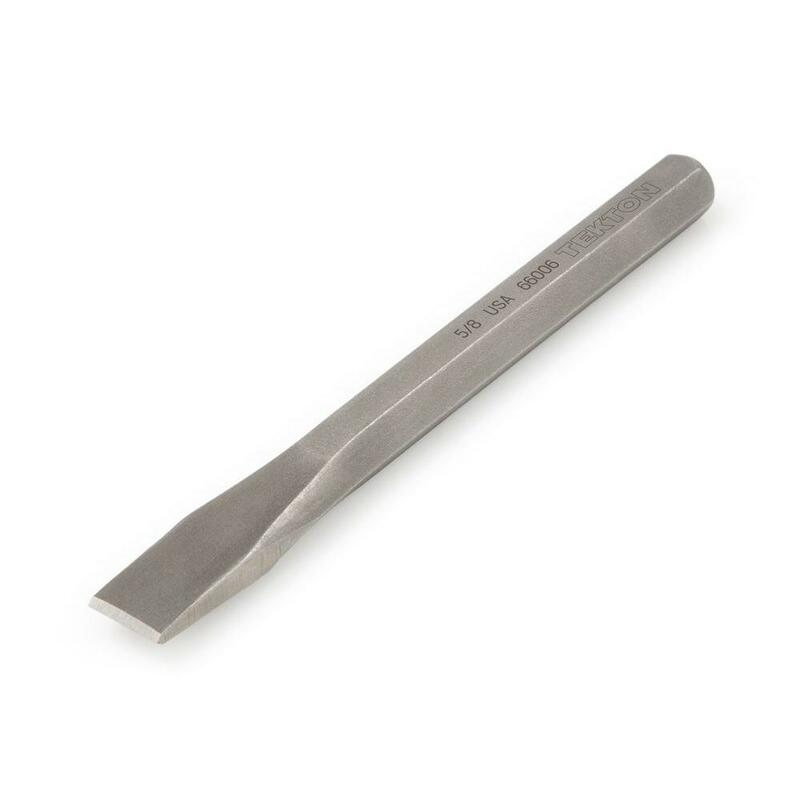 Chisel is used to cut or chip the ceramic tile, mortar, or hardened metals during the plumbing work. Screwdrivers is used to insert or remove the screw and it is operated manually or electrically. There are two common types of screwdrivers which include the slotted type screwdrivers (top), and the Phillips type screwdrivers. Adjustable wrench is also known as monkey wrench. In adjustable wrench, there is a movable jaw that allows the wrench to fit or open a wide variety of bolt heads or nuts. Channel-type pliers are used to grip the smooth surface of pipe which needs higher gripping while opening or fitting. In channel-type pliers, there is a movable handle which permits the jaws to be adjusted for maximum gripping strength. The inward side of the jaws are saw-toothedthat prevent slipping. 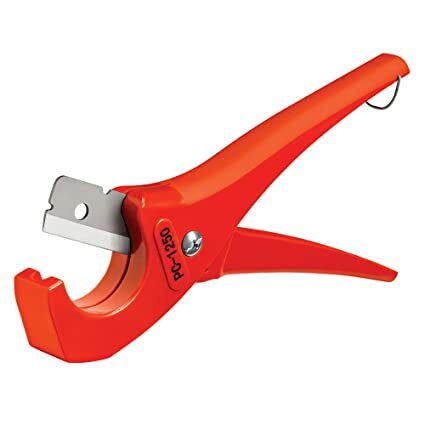 It is also known as snipe-nose plier, pointy-nose plier, long-nose plier, or pinch-nose plier. Needle-nose Pliers havevery thin jaws for gripping small objects like screw, etc. It also used to reach to confined areas where other pliers cannot. Ratchet wrench or Open-Ended spanner is used for tightening or loosening bolts and nuts. Ratchet wrench has a handle that hasa mechanismwhere you can change sockets to work with the different sized bolts or nuts. The Open-ended spanners are available in different size to work with the different sized bolts or nuts. Pipe wrench has a movable jaw which allows to open and fit the different diameters of pipes. Pipe wrench is used to tighten and loosen the various diameter pipes, pipe fittings, and large nuts. Sometime, two or several pipe wrenches are usedtogether to prevent the damage to pipes and fittings. Hacksaw has small toothed saw and it is used to cut the metals and plastic pipes. Hacksaw has an arrangement where you can replace the old blades with new blades. 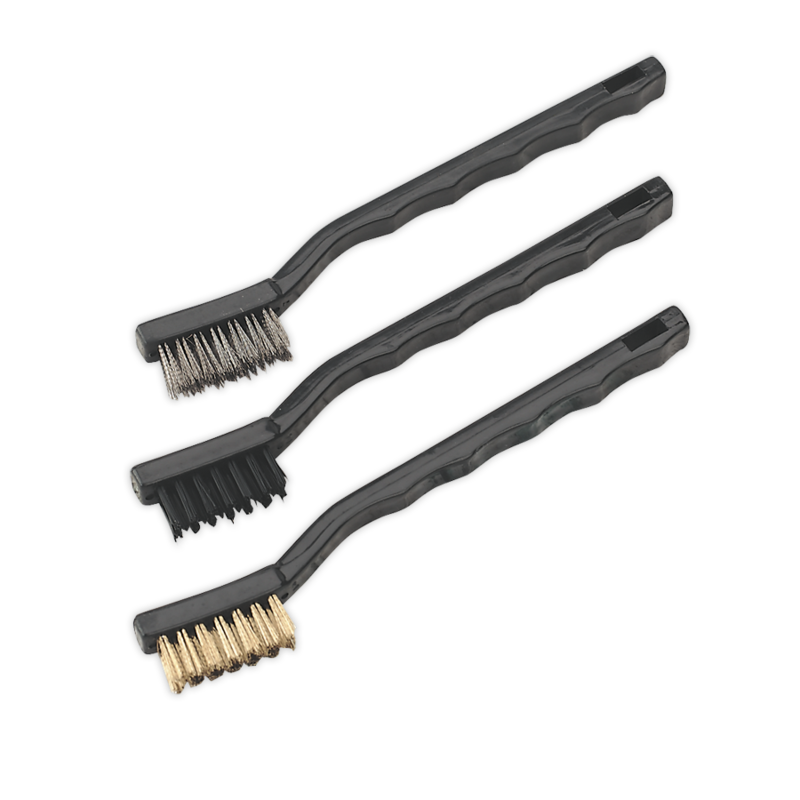 Small wire brush has soft brass or MS bristles which are tightly clustered and they do not bend easily. It is used to clean the metals without damaging its surfaces. Small Measure Tape is made of a retractable steel blade and is available in different size i.e. 16 feet (5 meter), 9 feet (3 meter) long, etc. it is used to measure the dimensionswhile performing the plumbing work. Plumber’s tape is used to prevent leaks at the threaded plumbing connection. It is also known as Teflon tape. It is a very thin white tape that can bewrapped around the threads of pipes and fitting before connecting them together. It is made of Poly Tetra Fluoro Ethylene. It is very soft and sold in small rolls. Spirit Level or Magnetic Level is used to set the new appliances and to check the slope or level of any work. It is available in small, medium and large sizes in the market. Files are used to smoothen the edges of metal, wood, or plastic. The round file (top cross-section) can be used to remove rough edgefrom the insides of pipes. The flat file is used for all general smoothing tasks. Wooden mallet is used for striking nonmetallic objects, such as plastic anchors which requires less force to penetrate inside the wall. 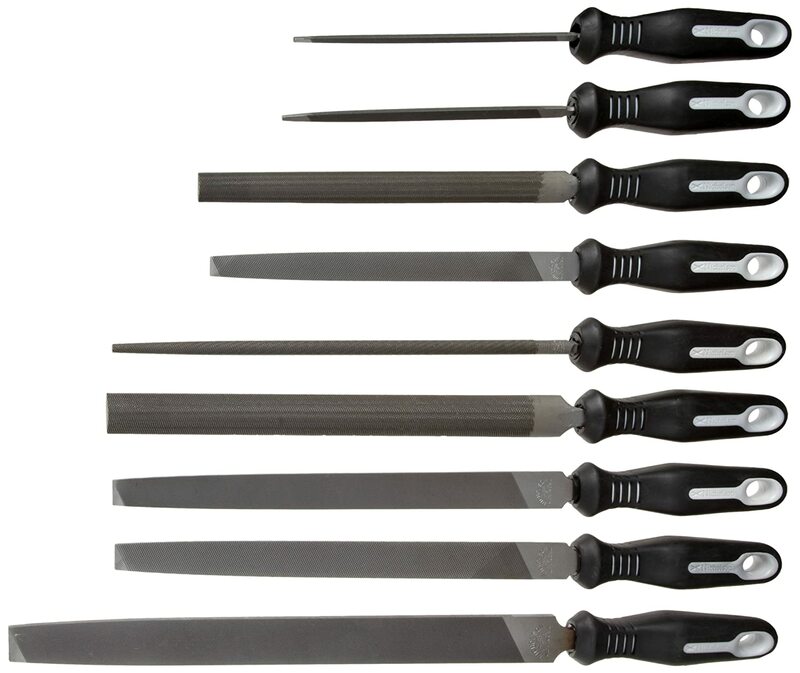 Utility knife is also known as folding knife, Stanley knife, box cutter, X-Acto knife, etc. Utility knife has a sharp blade for cutting a wide variety of materials. 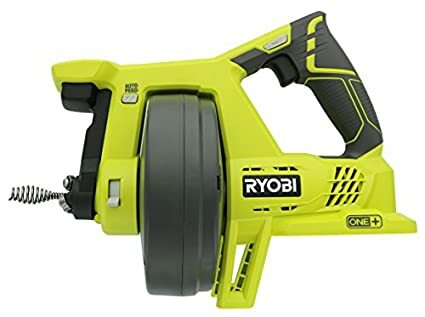 It is generally used to trim the ends of plastic pipes. 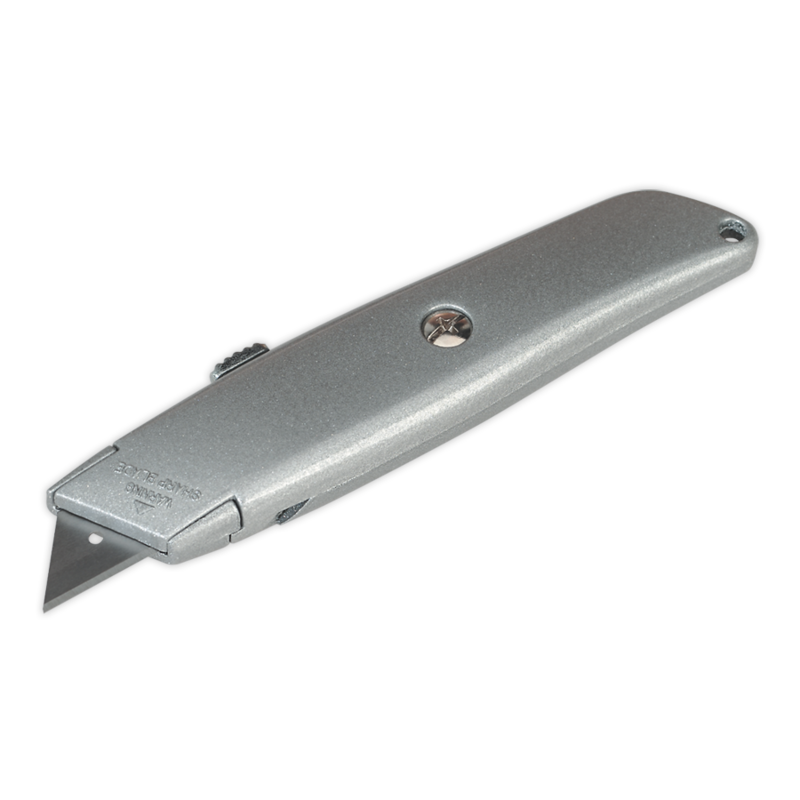 The utility knife has aretractable mechanism which provides safety during the work. Sometime problems are found inside the pipes or drain where the light is necessary to inspect. Flashlights are used to inspect such pipes and drain openings. 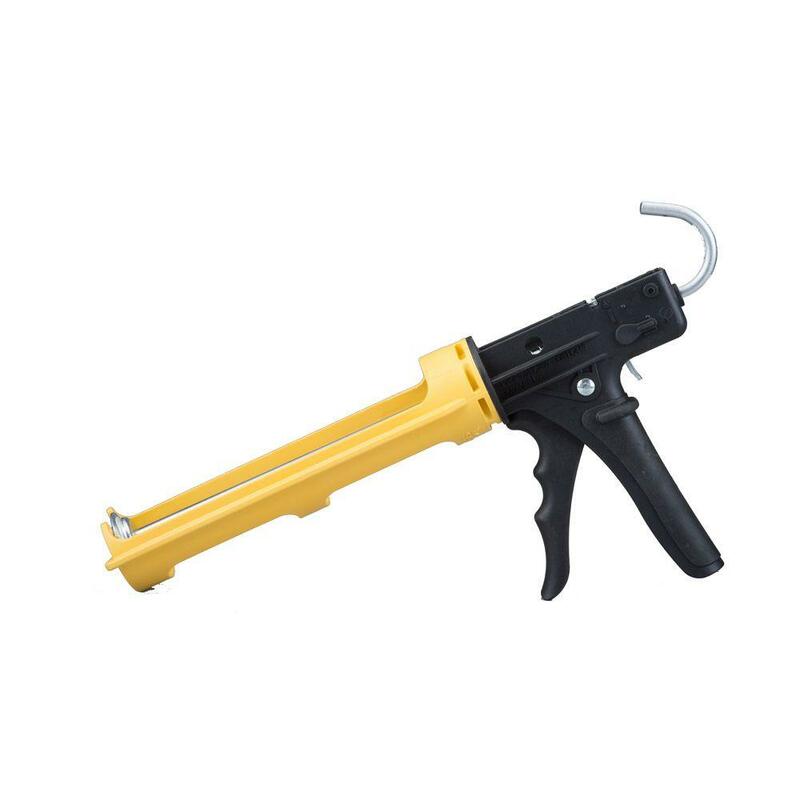 Caulk gun facilitatesto hold tubes of caulk or glue. A squeeze handle pushes a caulk or glue out of the nozzle which is used to seal joints or seam against leakages of pipes. Plastic tubing cutter is used to cut flexible plastic pipes quickly. It has a mechanism just like a gardener’s pruners. It is a very important plumbing tool. 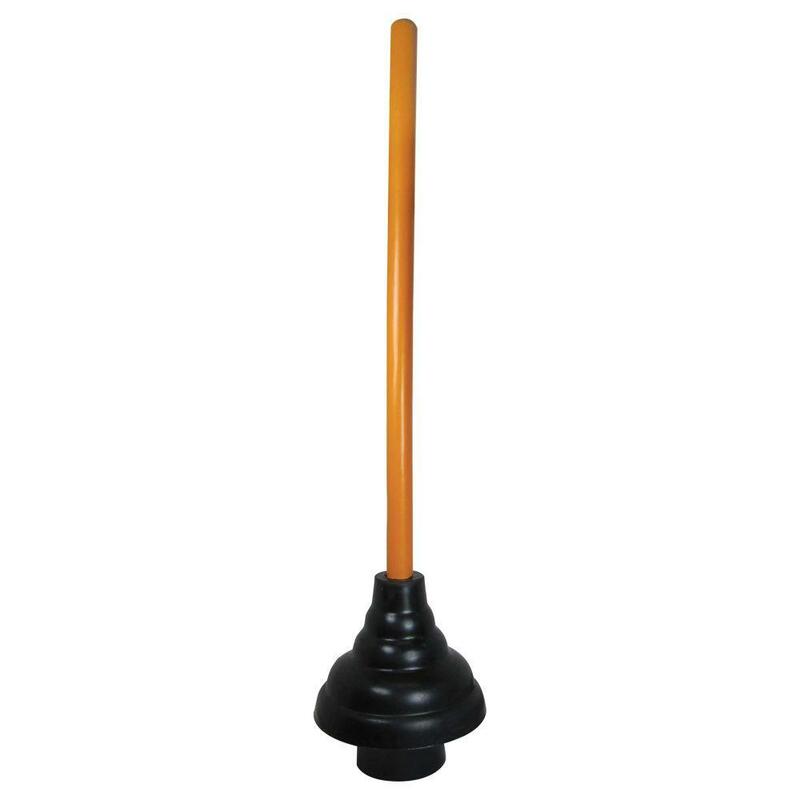 Plunger is a plumbing tool which is almost found in every house. Plunger generally clears the clogs of drain with water and air pressure. The flanged plunger is used for toilet bowls. The flange plunger can be used as a standard plunger. The standard plunger clearsthe clogs of sink, tub, shower, and floor drains. 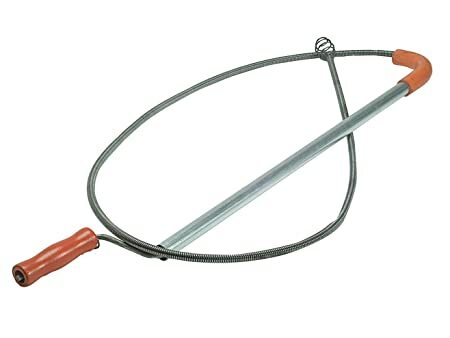 Closet auger is a slender tube with a crank handle on one end of a flexible auger cable. It is used to clear toilet clog. It has a special bend in the tube which allows the auger to easily penetrate in the bottom of the toilet bowl. The special bend of tube is usually protected with a rubber sleeve which prevents scratching of the toilet surface. Hand auger is also sometimes called a plumber’s snake, drain snake, or toilet jack. It is used to dislodge clogs from the drain lines. 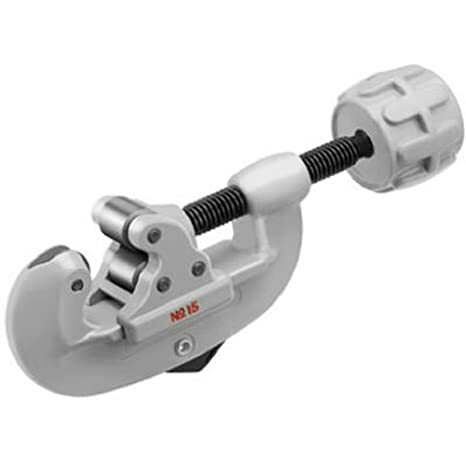 Hand auger has a long and flexible steel cable which is stored in the disk-shaped crank. A pistol type handle allows the user to apply firm pressure on the flexible steel cable. A Flexible steel cables penetrate deep into the drains and clears the clogs. Turbine cutter is used to cut plastic and copper pipe. It makes straight and smooth cuts in pipe. Turbine cutter has a triangular blade which is also called a reaming tip and it removes burrs from the insides of pipes. Spud wrench is specially designed spanner which removes or tighten the large nuts that are 2” to 4” in diameter. The end hook helps to grab the lugs of nuts that increases the leverage. Blow bag sometimes called an ex-pansion nozzle which is used to clear drains. Blow bag is attached to a garden hose to remove the clog with powerful spurts of water. It is also used to de-clog the floor drains. Propane torch is normally used tojointhe copper pipes with its fittings. 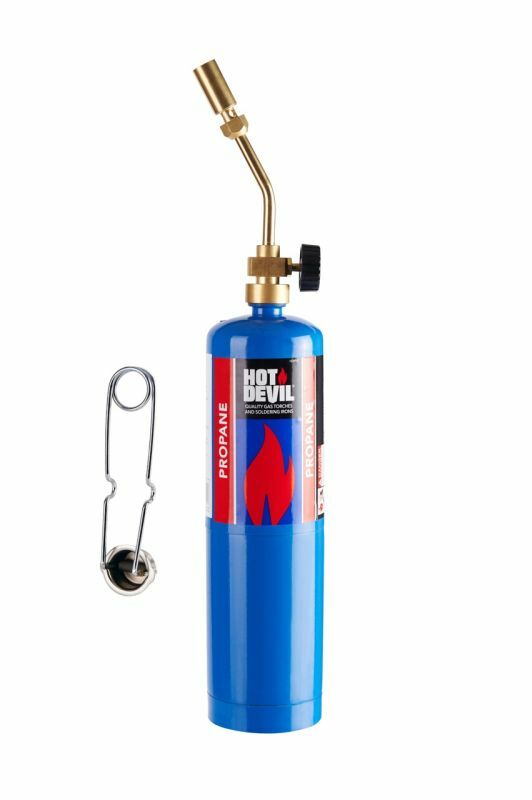 The propane torch kit is easily available in the market. Spark lighteris used to light the propane torchquickly and safely. Power hand tools are operated on power or batteries. Power hand tools make plumbing work faster, easier, and safer. 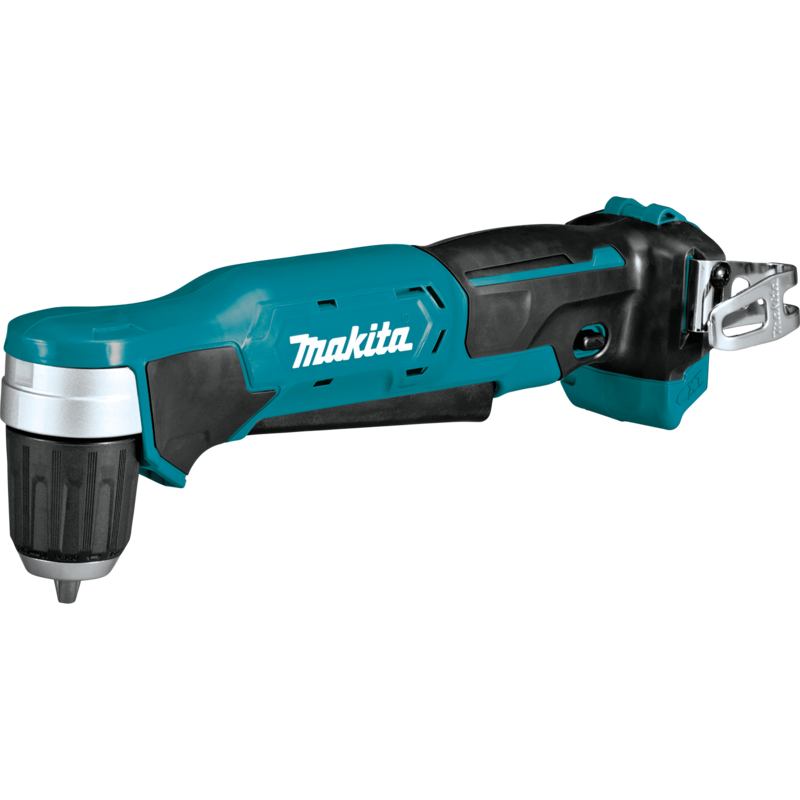 Chordless power tools are normally operated on batteriesand offers high convenience. There is no need to buy either all or few plumbing tools, if they are be used for large plumbing job or needed after long duration. It is feasible to payrent for those plumbing tools. They are easily available in market. Following are the name and use of plumbing tools that you can hire on rent. Power miter box makes fast, accurate cuts in a wide variety of materials, including plastic pipes. 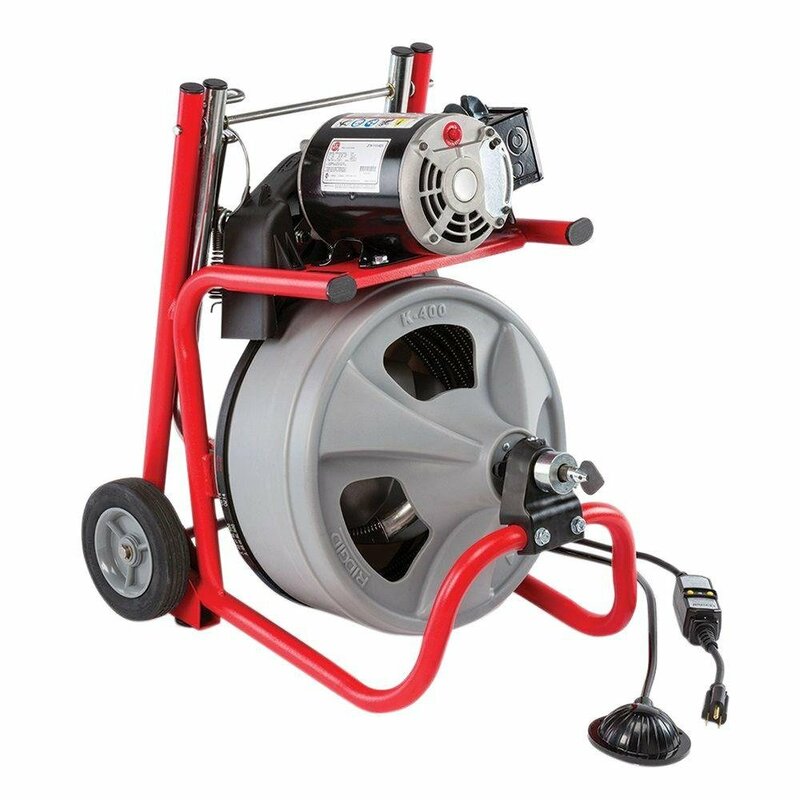 Motorized drain auger clears tree roots from sewer service lines. 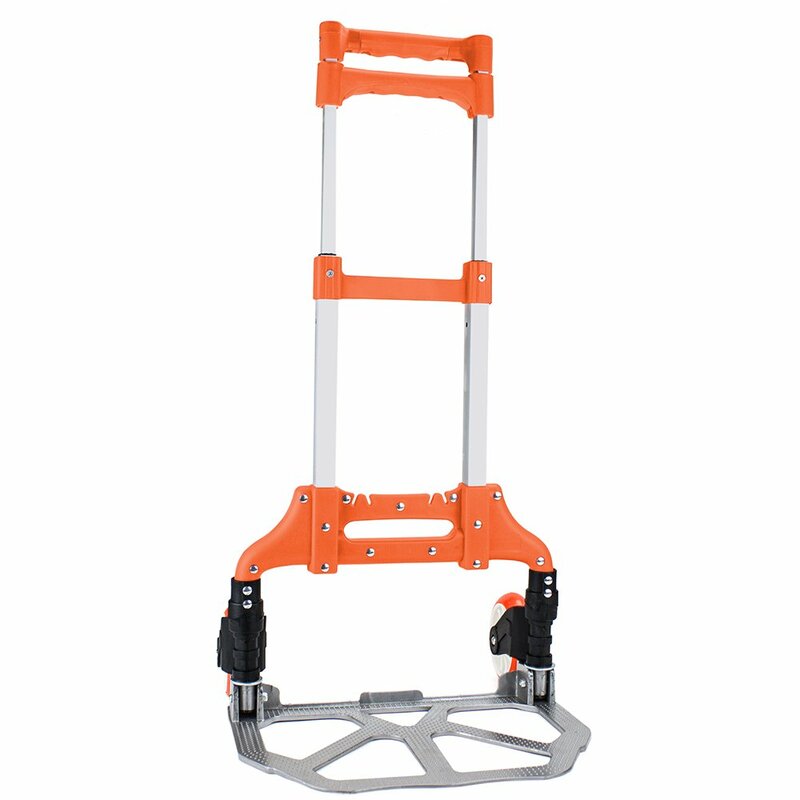 Appliance dolly is used to move the heavy objects like water heaters. Cast-iron cutter is used to cut tough cast-iron pipes. Right-angle drill is used to drill the holes in hard to reach areas. Pipe bender is a very important plumbing tool that is used to bend the pipe like copper.